Explore the Cali Coast by driving it! 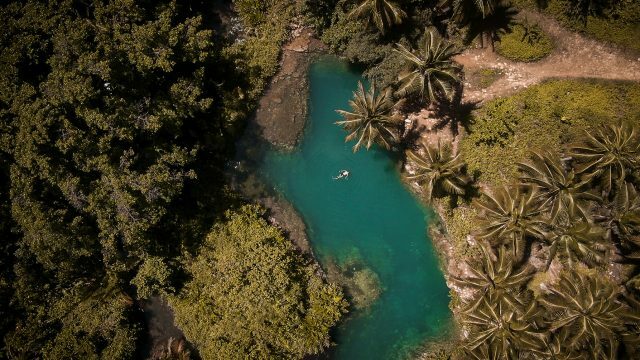 Notorious for its sandy beaches and rocky cliff sides, its palm trees and lush oaks, California’s coastline offers a wide variety of adventures for all. Whether you’re looking for a place to nestle in for the night or take some quirky pictures, Highway 1 has you covered. Most participants opt to start the journey in Los Angeles, a city built for life revolving around cars; and end up in San Francisco, a city built for life without cars. Both Los Angeles and San Francisco are amazing cities with just as many differences as there are similarities, which is why this famous drive is so appealing to many. 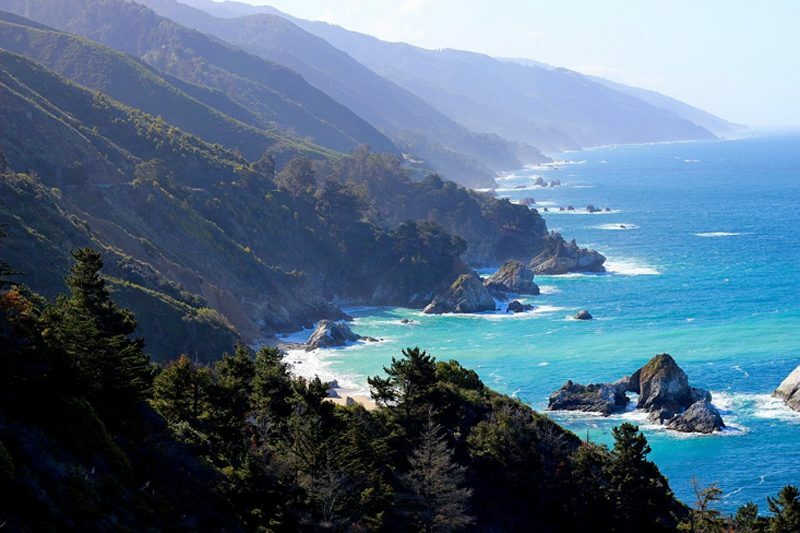 The California coastline is very unique and can change dramatically within just a few miles of one area to the next. One minute you’re driving by looking at surfers riding waves in Ventura and the next you’re driving through a road completely surrounded by giant trees in Big Sur. Now, of course most people want to get on the road just to get to their destination. Who doesn’t like taking the BART to AT&T Park to catch a San Francisco Giants game, or walking through giant sequoias in the Muir Woods National Monument? But just like any good road trip the journey is half of the adventure. The first notable spot to stop off in is Santa Barbara. This small beach town one hour north of Los Angeles is home to one of the most notable universities in California, fantastic 75 degree weather, and real California culture. Depending on what type of person you are, “SB” has something for you. 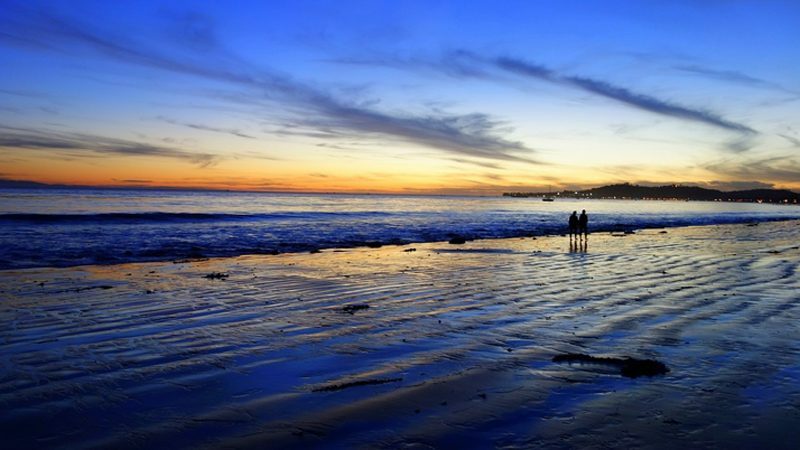 If you’re looking for a nice beach to walk along, Butterfly Beach is a great stretch of sand to relax on and people-watch as they walk along with their dogs. The driftwood washed ashore mixed with rocks, moist sand and a sunny day make for a great afternoon. 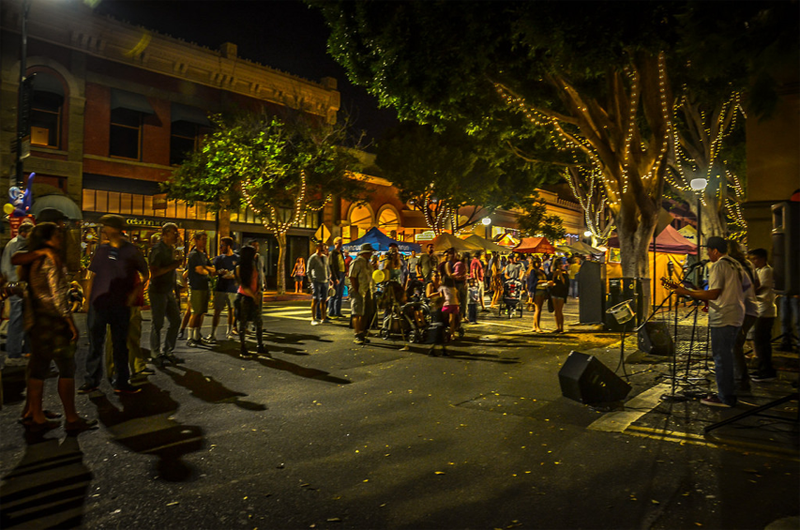 However, if you’re looking for something a bit more upbeat, State Street is the hub of Santa Barbara which is filled with both mom-and-pop and more well-known retail stores. There are great places to eat and get some happy hour drinks everywhere on this street and the surrounding streets, you really don’t need to move your car much once you’re parked here. After stopping off here, it’s time to get back on the road and head toward San Luis Obispo. Continuing the road trip driving North and you’ll soon run into San Luis Obispo. This peculiar town just inland from the coast hosts another university, California Polytechnic San Luis Obispo. One might describe the surrounding area as farmland, so the downtown area of “SLO” is often filled with college students getting lunch and a few drinks. It is certain that if you’re looking to get some food, this is the place to do so. Firestone Grill is the go-to place to eat and McCarthy’s Irish Pub is the local watering hole that most people congregate to. Even if you’re traveling solo, you can often find local students at the bars after class to chat with; they’re mostly open to conversation. However, you can’t leave SLO without first stopping by Bubblegum Alley, an alleyway that is completely covered from the ground to the top of the walls with chewed pieces of gum. This stop is great for a quick bite to eat and a photoshoot because the next location may lead to a loss of appetite. 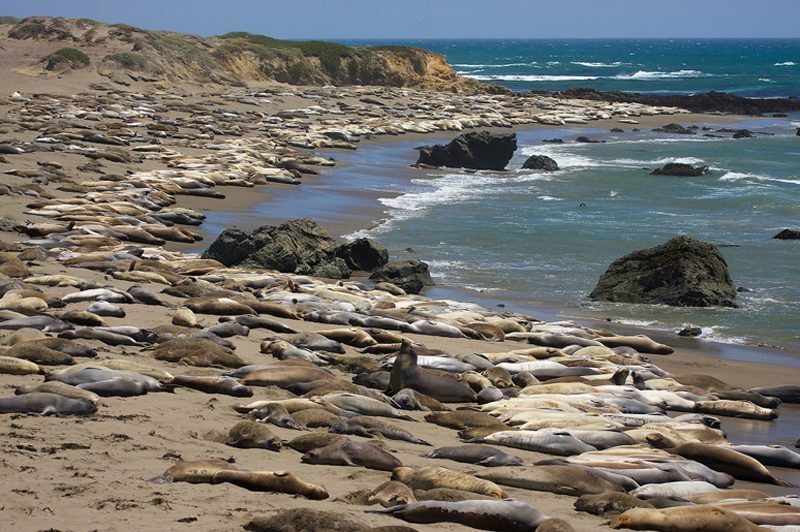 You can almost smell and hear them before you actually lay eyes on the hundreds of Elephant Seals that bask in the California sun along the coast in San Simeon. It’s hard to miss this gem while driving north because there is often a line of cars parked on the side of the road and a ton of people all huddled around one area looking down the cliffs at these animals. 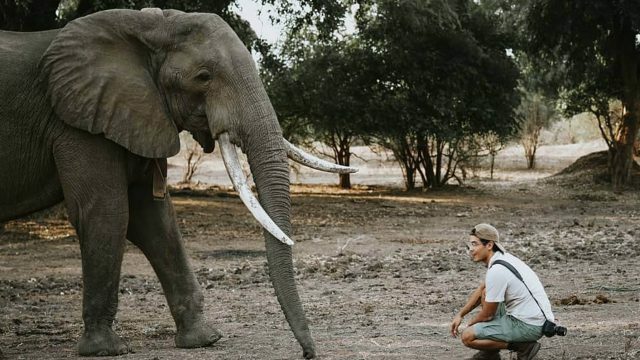 The sheer size of these creatures is enough to catch your attention, as they bask in such large quantity it really is a sight to behold. However, don’t stay here too long because the next portion of Highway 1 worth visiting make take up a decent amount of time. When I say every lookout point is worth stopping at, I mean it. Every chance you get to pull over on the side of the road is a new, exciting view that makes for great moment lost in time. This area can often be overcast or foggy but it makes the photos that much cooler. 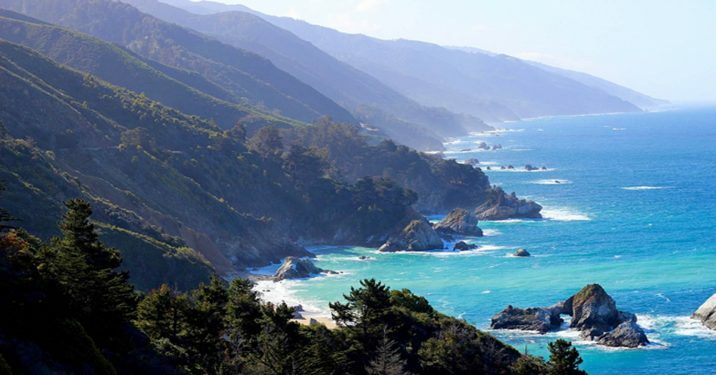 The area known as Big Sur stretches about 50 miles up and down the central California coast with the highway taking you within just feet of the edge of the cliff, to inland surrounded by massive redwood trees. If you’re getting tired from a long day of driving, there are plenty of campsites just off the highway that you can pitch up a tent and enjoy an evening under the stars. Once the morning sun rises, Cafe Kevah, right on Highway 1, is a quaint little spot to get a morning cup of joe and then hit the water in the final notable spot to stop on this journey. The home of surfing in California, Santa Cruz is just a short drive away from Big Sur so after your morning cup of coffee you can either opt to play on their famous boardwalk or get in the water. No matter what crowd you are (or you’re traveling with), Santa Cruz has something for you. 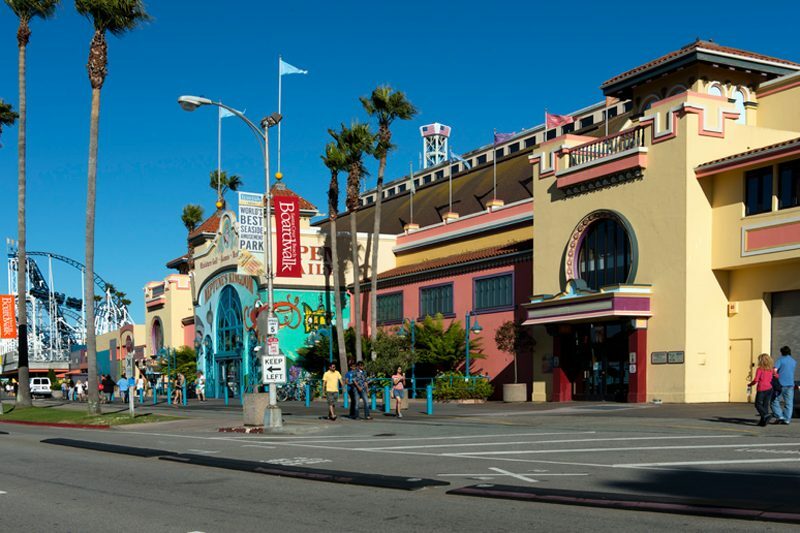 If you have kids with you, or you’re a kid at heart, the boardwalk offers a wide variety of rides, games, carnival food, and more. 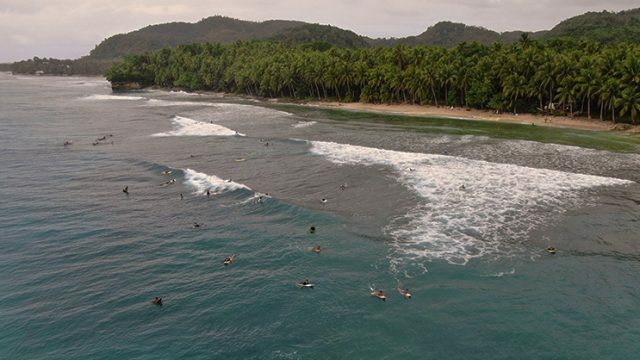 If you enjoy the water, there is no shortage of good waves here. You can rent surfboards if you aren’t an avid surfer and don’t have your own piece of equipment. If surfing isn’t your cup of tea either then there are a plethora of local restaurants to grab some breakfast (or dinner) before finishing off the Highway 1 road trip. What’s left is to drive an hour and a half north into San Francisco. Where are your favorite spots along the California Coast? Let us know in the comments.